Halloween is finally here! While the kids are preparing their costumes and getting excited about all those treats, dentists and doctors are also gearing up for all those patients coming in with problems that are associated with excessive sugar intake and tooth injuries. There are three important things that we want you to remember. Check the treats that your kids collect. If your kids are up for it, you can propose a “swap”, see if you can trade those hard sticky candies and the chewy ones that are made of sugar and very little else for better treats. Think of better and healthier treats to purchase and give away, too. You might also want to consider swapping sweets altogether for toys, plastic jewelry, or some school supplies. You can also try healthier chips and crackers. You should save some of those and try to trade them with the sweets your kids collect. If you do have to have some candies (for your teens or even the adults), it’s better to go for those sweets that contain nuts as they supply some nutrition. Of course, this is only if no one has nut allergies. Stay away from taffies and sticky candies that are particularly harsh on tooth enamel. Don’t let your guard down with the sweets. We understand that even parents have a tendency to be careless during this holiday and just dip into the candy bowls anytime they want. Keep your and your child’s access to candies in check. Limit the number of treats that your kids will have per day in an effort to maintaining a healthy balance! Be vigilant about brushing after eating candies. It’s easy to just settle with a light and quick brushing, especially if you have to rush to another activity during a busy day. Try to avoid that, especially now that the kids are consuming more sugar than they probably do any other time of the year. 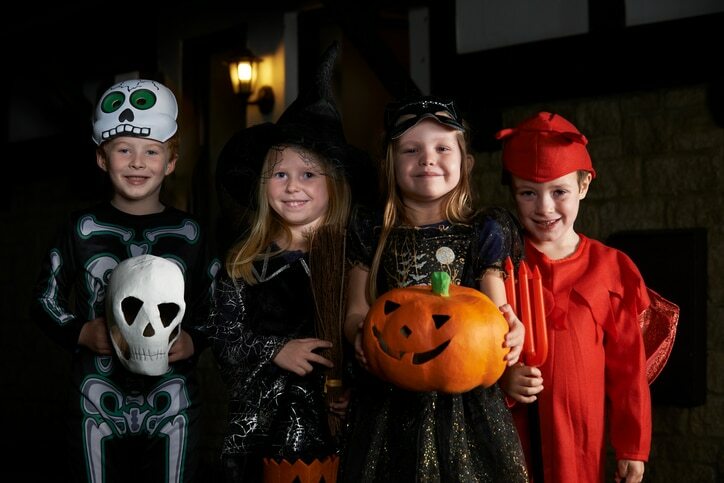 You don’t need to deprive your children of all the fun this Halloween. All it takes for you and your kids to enjoy this holiday without compromising your teeth are a few smart tricks and you can go and enjoy your treats!